How would you like to receive a beautiful set of bracelets to brighten up your wardrobe for the holidays? I received these beautiful bracelets in the mail and was so impressed by the beauty and quality of workmanship! Sashka Bracelets make the perfect gift, whether you give just one or a whole set of them! The price is certainly reasonable, at $12.00/bracelet! And with free worldwide shipping, it's hard to say no! 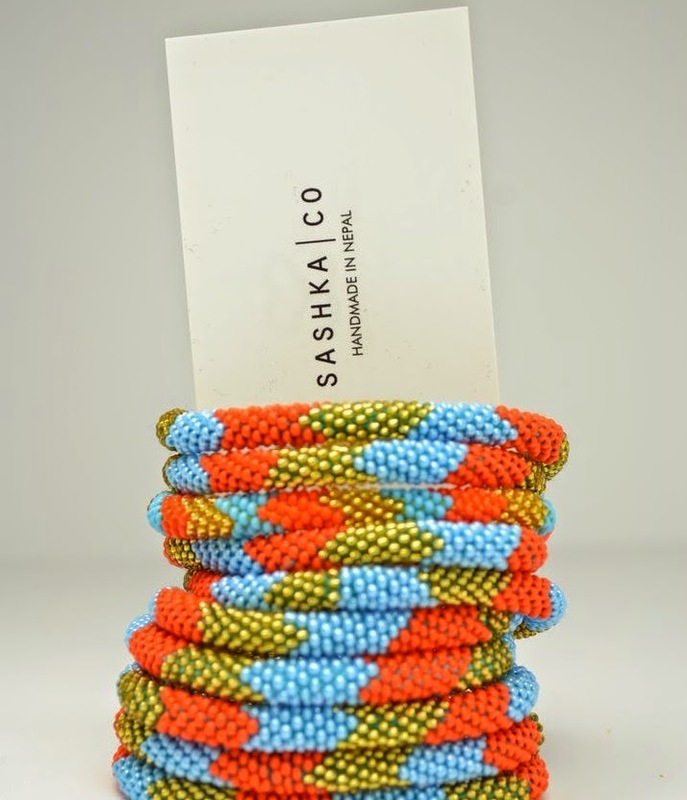 Sashka Bracelet Co. gets its beautiful products from the women artisans in the Kathmandu Valley of Nepal. They are hand crocheted with crystal and sterling silver beads that give the bracelets a delicate sheen or sparkle when you move and when they hit the light. They are designed to roll over the hand with ease. If, by chance, they are too big, you can place them in warm water to shrink them. I had no problem with them. They rolled on my small wrists easily and while being loose, they never came off. The only issue was that the turquoise bracelet bled on my skin when I first wore it, but after that first time, I had no problem. There are so many color combinations and the 4 bracelets I chose were so fun to mix and match. 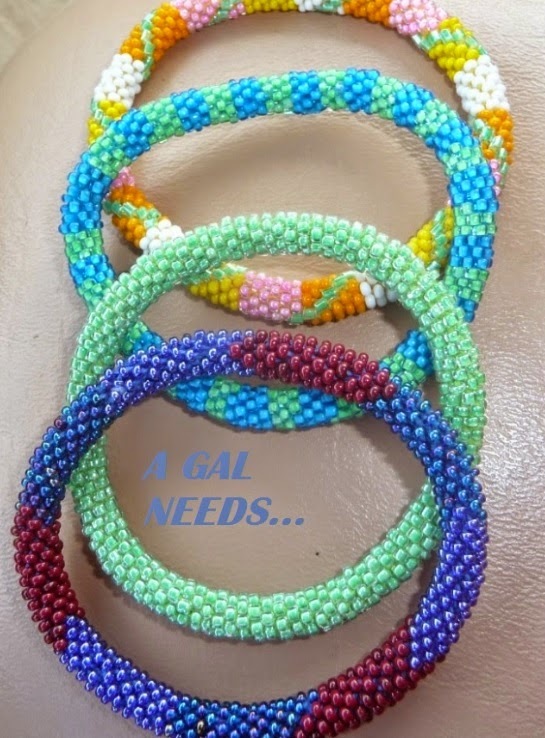 I usually take the multi-colored bracelets and pair them with the one solid green one. 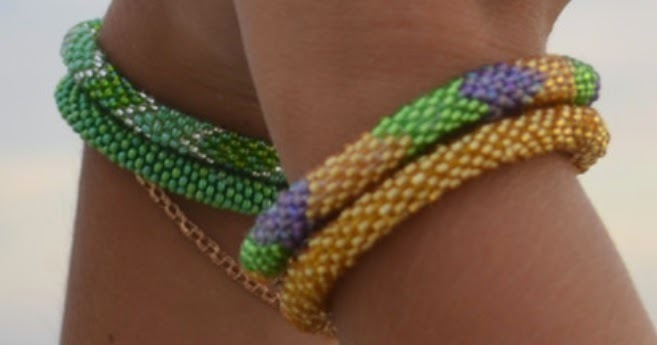 I've got my eye on more of these bracelets because the quality is so excellent and the colors are so vivid! "Sashka Co. Bracelets roll over any size hand for a perfect fit. 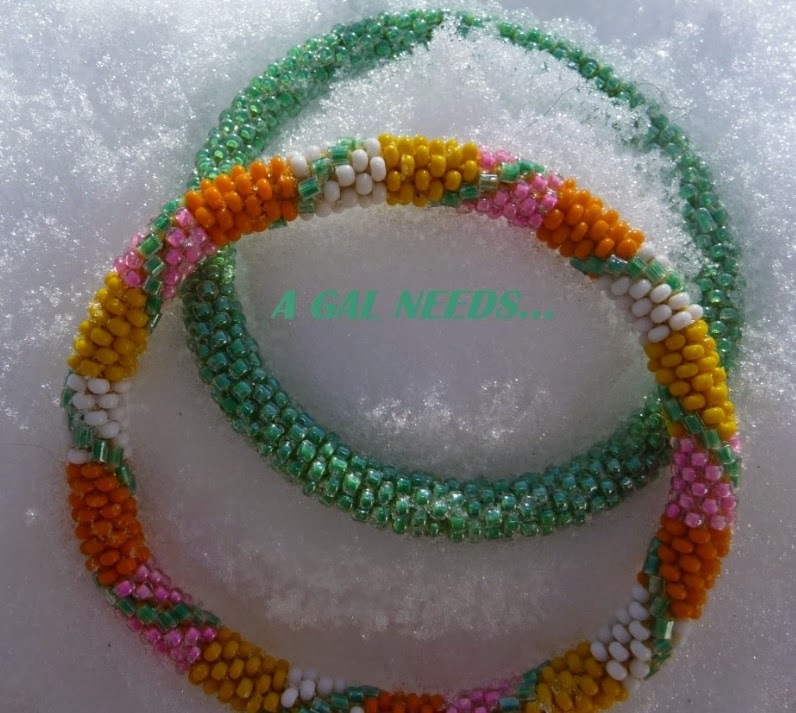 Our glass beaded bracelets are hand crocheted by skilled artisan women in the Kathmandu Valley of Nepal. Your purchase empowers women in need through fair trade. Free Worldwide Shipping!" I love how Sashka always has great sales going on. Just check out their Facebook page to see the latest promotion! Follow Sashka on Facebook, Twitter, Pinterest, and Instagram! These are so pretty and i love the different colors. Awesome bracelets. Superb & lovely colors. Currently i am searching for unique design bracelet online at fashionbuzzer for my new year party. I love the simple, handcrafted appeal of these colorful bracelets! The ones from the Boho Collection are my personal favorites! These are so pretty and very affordable, thank you for this review. Id share with my sister. I love that these handmade bracelets have such wonderful colors and sparkle. Ohhhh I LOVE the turquoise coral and gold set!!! I learned that these beautiful bracelets are made by women artisans in the Kathmandu Valley of Nepal. I love these! The color combos are beautiful & I like that they are hand-made in Nepal. 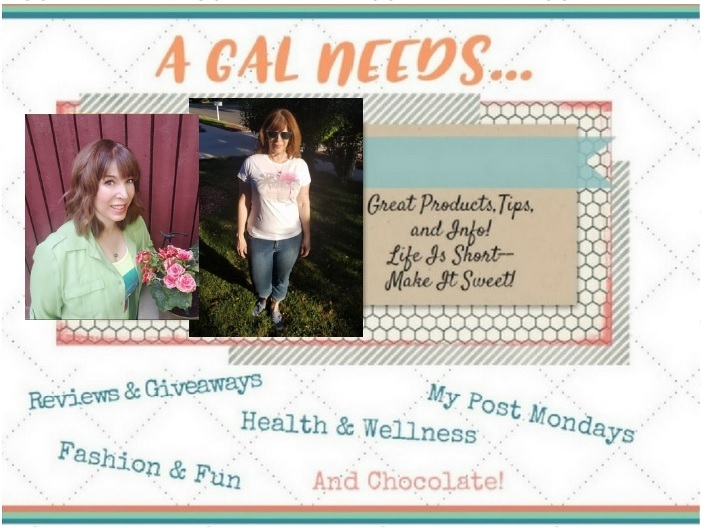 It's nice when buying something pretty can help someone else! I love all of the different color combinations! I am so glad I found this post. The Sashka bracelets are so vibrant with the beading, and I haven't seen anything around here like them. It's great that the company is a Fair Trade Co. Thanks for the introduction. I love that they are made in Nepal. I would share this with my cousin who loves jewelry. These bracelets are so pretty! I really like that they stretch and are handmade. Thank-you for the information & review! These are so pretty! I like the sparkle and bright colors. 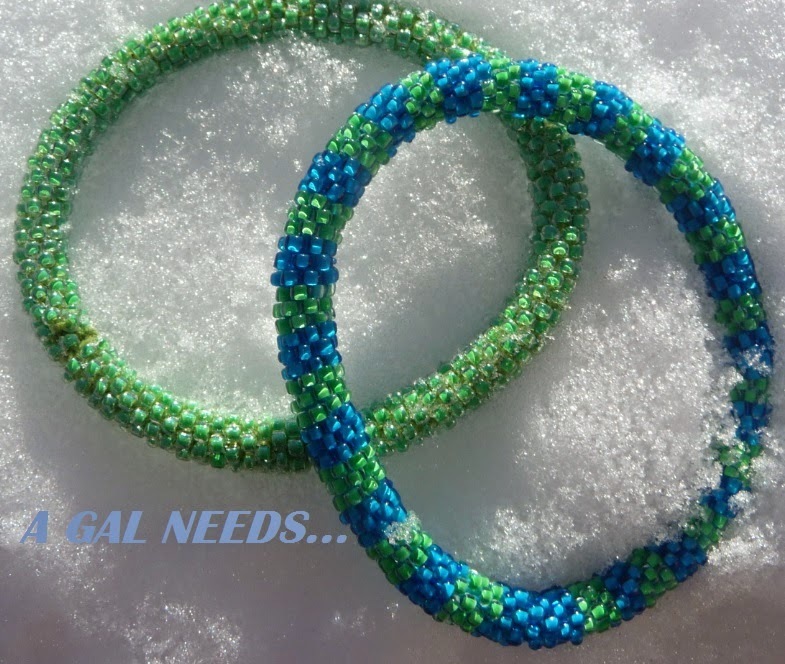 I'd love to share these with my friends, a solid-colored bracelet paired with a patterned one. I would definitely share with my daughters and granddaughters. These bracelets are absolutely gorgeous!